This stately tree is a native from the southwestern United States into Mexico, and it grows at a medium-fast pace, reaching up to 40 feet (or 80 feet in the wild). It boasts a full, dense conic to ovoid-conic crown. It's strikingly gorgeous foliage grows in dense sprays varying from a dull gray-green to a bright glaucous blue-green hue that tree lovers adore. For best results, plant in an area with full sun in an area that is not irrigated- this tree has a high drought tolerance, but it does not fare well in soils without adequate drainage. Tolerates loamy and sandy soil. 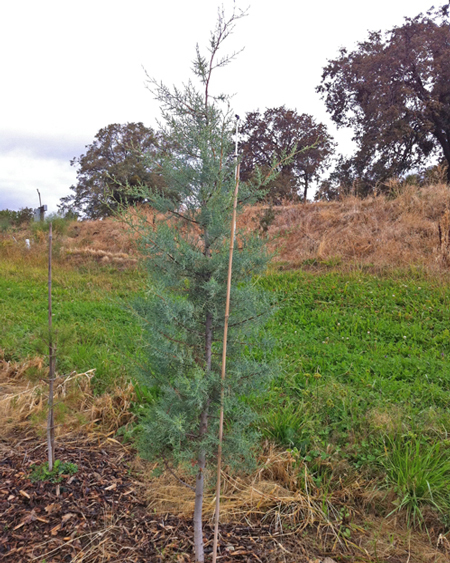 This tree is a popular cultivar for Christmas Trees, and we love to sell these in our line of Live Christmas Trees! Use as a majestic specimen, windbreak, or Christmas Tree! Conifer Size 12 ft.15 ft.